As many of our neighbors continue to struggle in poverty, we have seen a continued rise in need for our services and volunteers like you. Intown operates four programs to meet the needs of homeless and hungry neighbors in our community. Intown Collaborative Ministries currently partners in our vital work with 16 local Jewish and Christian congregations in ZIP codes 30306 and 30307. 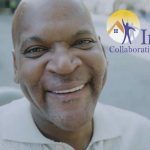 Intown Collaborative Ministries serves over 1,200 men, women, and children in the community each year with help from supporters like you.